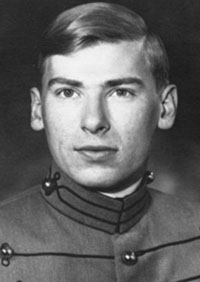 View a eulogy for Harold Halsey Dunwoody, USMA '70, who passed away on March 26, 2018. We send our heartfelt condolences to Buck's friends and the entire Dunwoody family for the loss of Buck Dunwoody. After graduating West Point, Buck was assigned to our Warrior Battalion in the late 1970s. He held several leadership and staff positions: Weapons, Rifle, and Support Platoon Leader; and Deputy installation Coordinator. These positions were important because our battalion sat on the leading edge of the battle area in Europe during the Cold War, confronting the Soviet Union. And Buck performed his duties very well, indeed. We loved him like a brother. We laughed with him, we cried with him, we disagreed with him at times, but we always knew he was a man's man and a Soldiers' Soldier and we truly loved him. He has made it to the High Ground. His course on earth has run, and now it can be said, "Well done, Buck our friend, be thou at peace."